Happy wine Wednesday everyone! I hope it has been an outstanding week for you! Well – the readers’ choice was clearly Pinot Gris for my March grape variety reviews! Pinot Gris is, hands down, my ‘go to’ grape. I don’t think I have met a bottle that I really did not like. Pinot Gris has received a bit of a bad rap lately and some backlash from the more ‘refined’ palates out there. 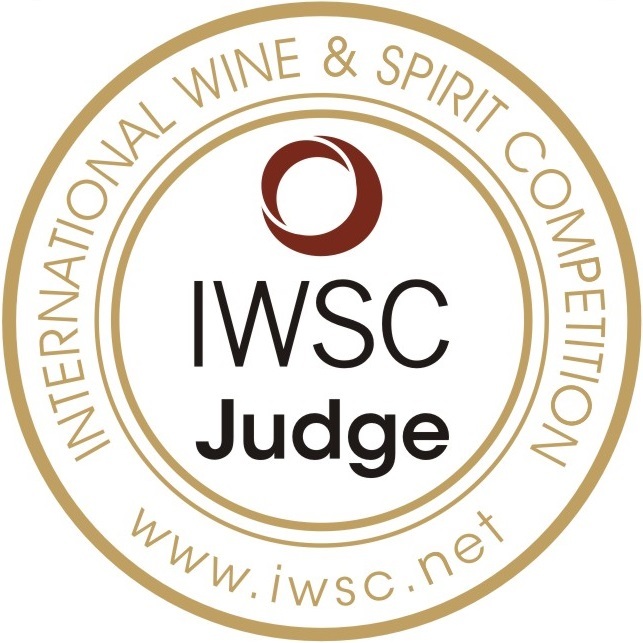 I recall my first class in WSET Level 1. We were asked to say what our favourite grape variety was and what we have been drinking. I answered honestly – it was Pinot Gris, mostly B.C. wines and I really enjoyed them. The teacher ( who is not at the school anymore ) almost scoffed at me. She said something to the fact that Pinot Gris is a wine for the underdeveloped palate. Of course I took issue with what she said but I also wanted to understand what she meant by that statement. Today, I am pretty sure I know where she was going with that comment but I disagree with her perspective entirely! Pinot Gris is a French grape variety. It really started to shine in the 13th Century in Burgundy but it didn’t survive in a successful way and was damaged more often than not so it was planted less and less. Pinot Gris is genetically related to Pinot Noir. Pinot Gris is a happy mutation that happened much to the delight of many! Alsace is the region of France that Pinot Gris really shines. It is one of the ‘noble’ grape varieties in this region and this type of Pinot Gris tastes quite different from Pinot Gris elsewhere in the world due to its northerly location and close proximity to Germany along with volcanic soils. Alsatian Pinot Gris wines are fuller in body and much more complex than many New World wines. 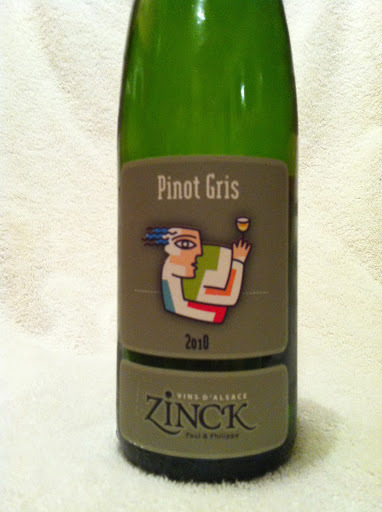 Back to the wine of the week – Zinck Pinot Gris retails for $18.99 in the B.C. Liquor Stores. It is clear, pale lemon with medium + flavour intensity on the nose with aromas of beautiful ripe stone fruit such as peach, apricot, nectarine and ripe red apple. There was also a hint of minerality and a whiff of clay. 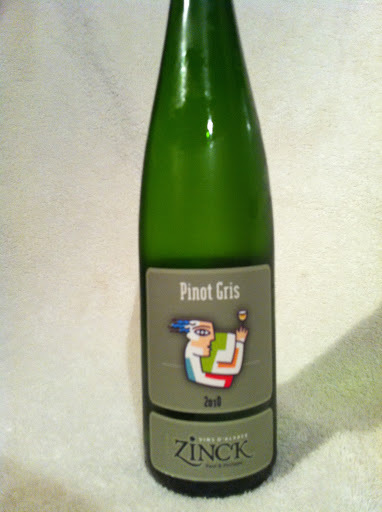 On the palate, Zinck’s Pinot Gris was off dry which means that there was some residual sugar left in the wine. It is a bit sweet, and I mean just a bit. It offered medium acidity and medium + alcohol and medium body. It was profoundly flavoured and tasted like very juicy ripe stone fruits and ripe red apples. I was able to taste the clay aroma I smelled and it was a nice, complex balance in the mouth. It has a medium + finish and was unlike any Pinot Gris I have tasted before. It was a ‘Hell Yes’ and ‘If you are in the mood’ kind of wine. Looking to expand your Pinot Gris experience – give this a try! Really juicy tasting with a nice balance of minerality. Pair with roasted chicken, paté or something with a bit of fat. This is off-dry and fuller bodied than most Pinot Gris. I think what my instructor was attempting to say was that there are a lot of British Columbians who flock to Pinot Gris and we tend to only drink B.C. Pinot Gris. It is my hope that she was trying to suggest that there are other presentations of this grape variety that are good to know and experience. She just didn’t put this sentiment into so many words! This is an interesting wine and I really did enjoy it. As always, my lovelies, thank you for reading!